Katie Cavera has made a name for herself on the west coast and in Europe playing 20’s and 30’s classic jazz and has been dubbed the “California Sunshine Girl” because of her upbeat singing style and sunny stage personality. She currently works at Disney California Adventure. She is a rhythm guitar specialist in the style of Freddie Green and Al Casey and also plays hot 20’s plectrum and tenor banjo, New Orleans style string bass, and sings in the 20’s pop style of Helen Kane and Ruth Etting. Originally from Southern Indiana, Katie attended Indiana University and studied jazz performance and composition with Dr. David Baker, playing with his jazz ensemble in a special presentation of Duke Ellington Masterworks at the Smithsonian Institution. Since moving to Southern California, Katie has become a sought-after guitarist, banjoist, and bassist. 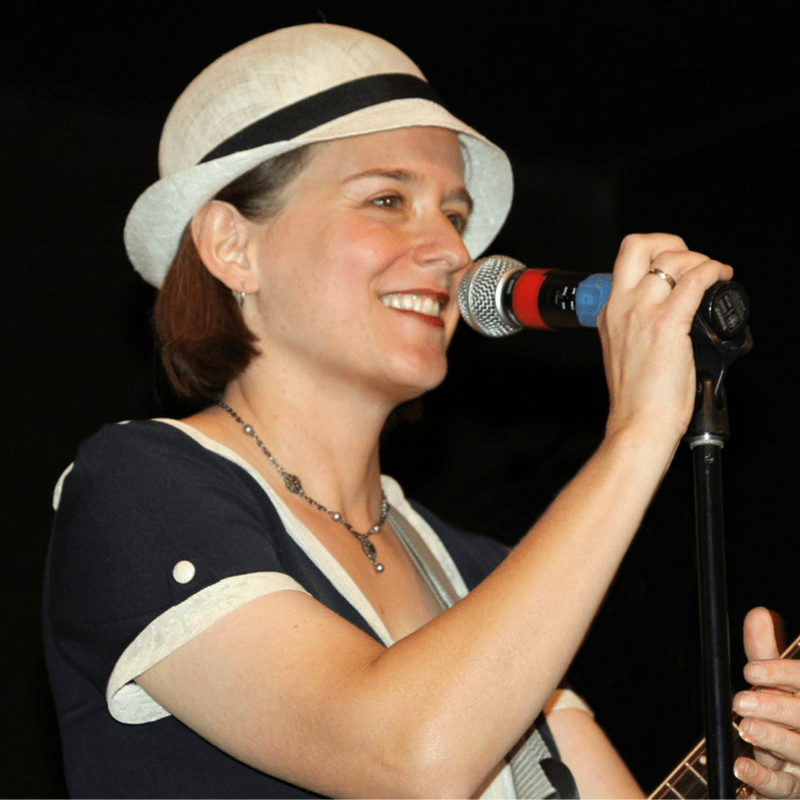 Her credits include working with Jug Band legend Jim Kweskin, Jim Cullum’s Jazz Band at The Landing in San Antonio, and Turk Murphy’s Jazz Band including players Bob Helm, Leon Oakley, and Ray Skjelbred.